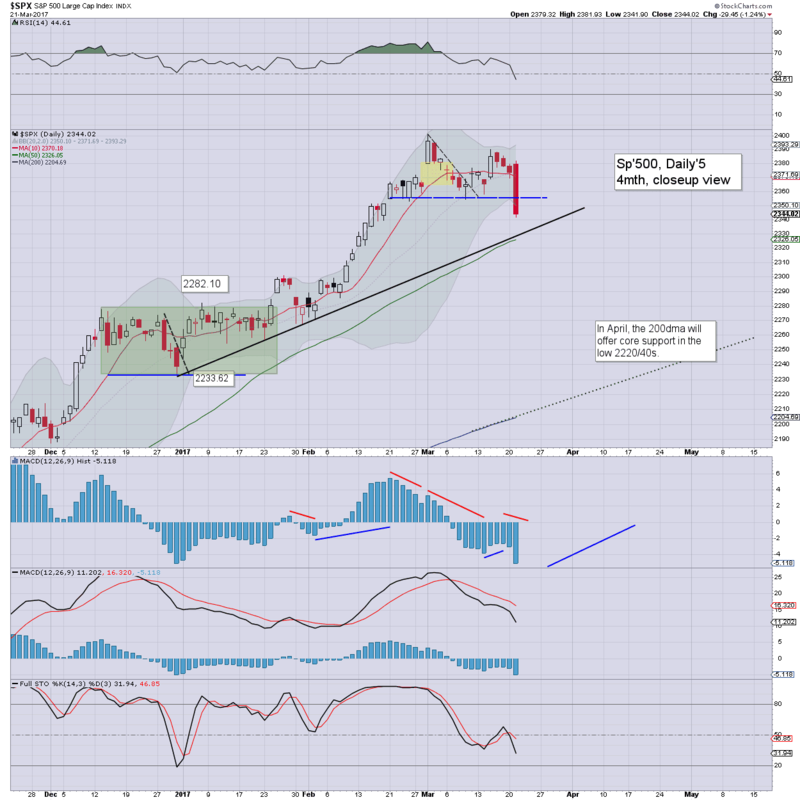 US equity indexes closed significantly lower, sp -29pts at 2344. The two leaders - Trans/R2K, settled lower by a very significant -1.9% and -2.7% respectively. 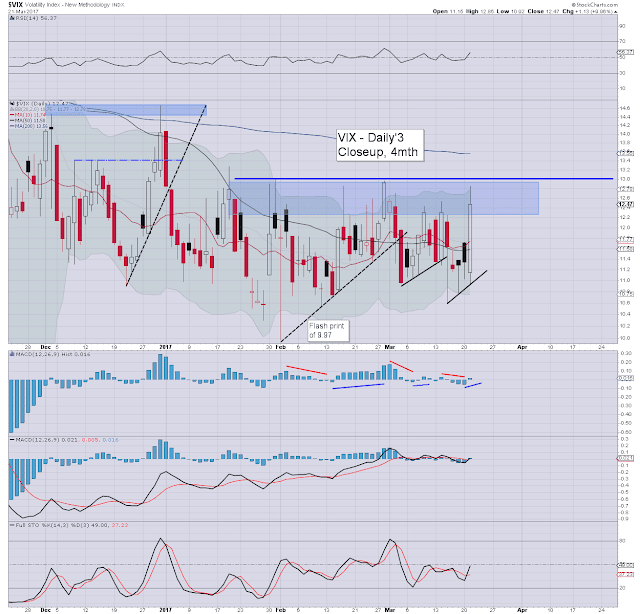 VIX settled +10.0% to 12.47. 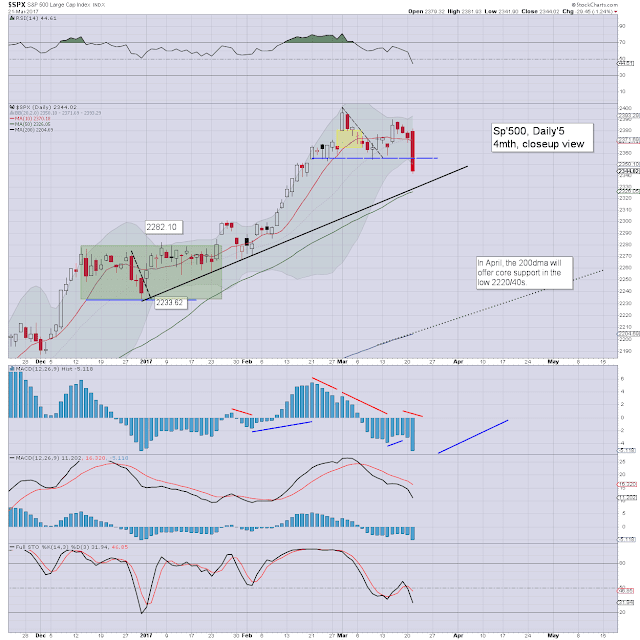 With the break <2350, near term outlook offers a test of the key 50dma, which will soon be in the 2330s. Today was admittedly something of a surprise, seeing the most dynamic downward action (for most indexes) since Sept'9th 2016. It was a fourth consecutive net daily decline for the sp'500, the most bearish run since late January, back when the sp' was battling against the 2300 threshold. Cyclically, we're on the low end, and the equity bears are going to struggle to achieve any daily closes under the 50dma.. which is still rising, and will soon be in the sp'2330s. Market volatility certainly picked up today, with the VIX seeing an opening classic hollow red reversal candle (hourly cycle, not shown).. and then quickly climbing. 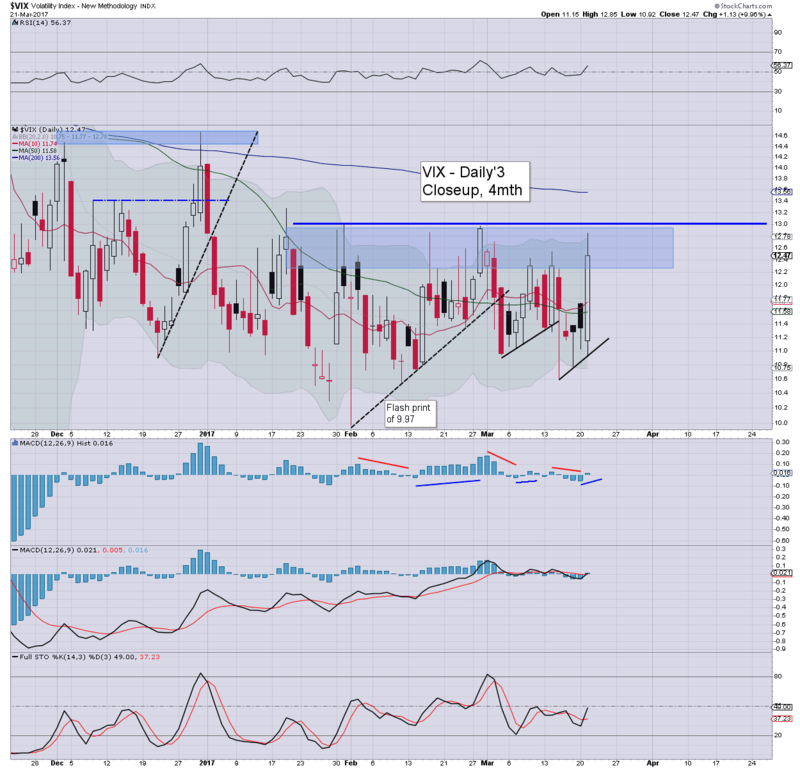 Despite sig' equity weakness, the VIX still couldn't see the low teens today, and it remains reflective of underlying capital market confidence. Browsing around twitter and various blogs today, I am already starting to see borderline bearish hysteria. The top calling maniacs are at it again. Lets be clear, the mid term bullish trends from the key lows in early 2016 remain FULLY intact. Nothing changes unless we're trading under the monthly 10MA - currently at sp'2216, although that number will naturally increase each month. For the moment, if you're feeling excited that the grand rally from 2009 is complete, I would suggest go take a Valium, or something.